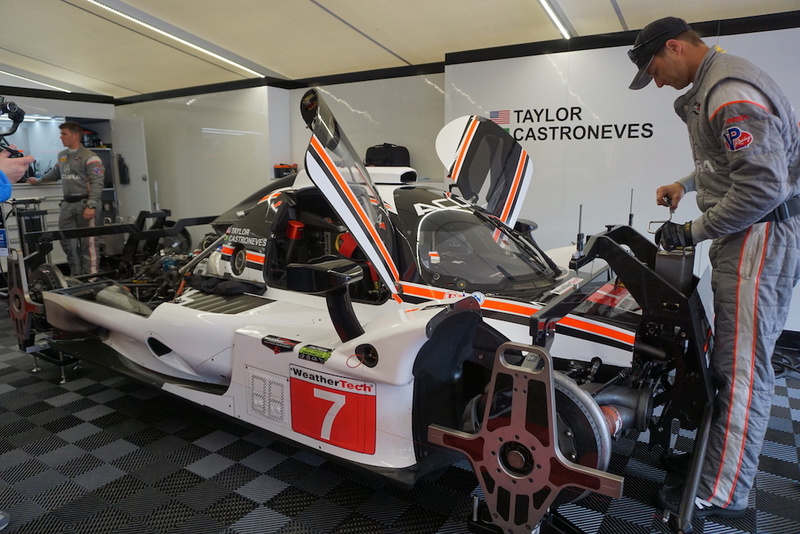 ​Have you ever wondered what the inside of an endurance race car looks like, how many buttons its steering wheel has, or how much it costs? You're not alone, as these are the kinds of things that the general public typically wonders about outrageous-looking, fast-as-hell race cars. 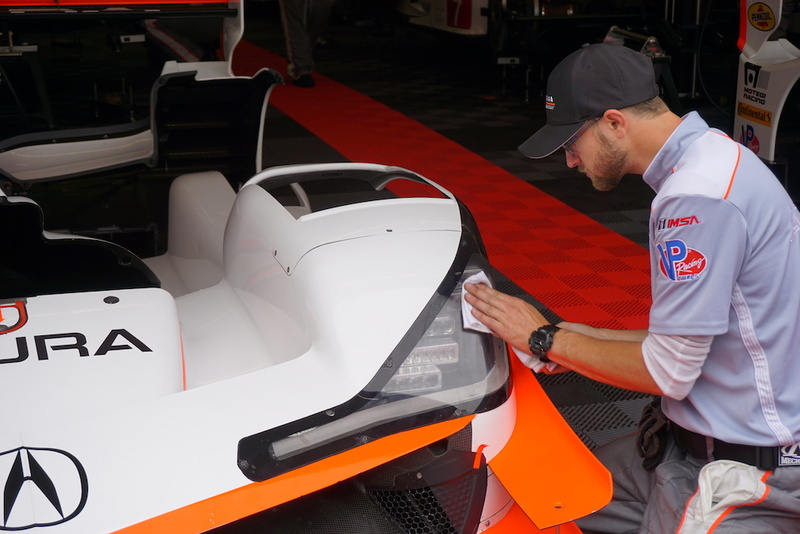 Well, in addition to: "What do drivers do if they have to pee in the middle of a race?" 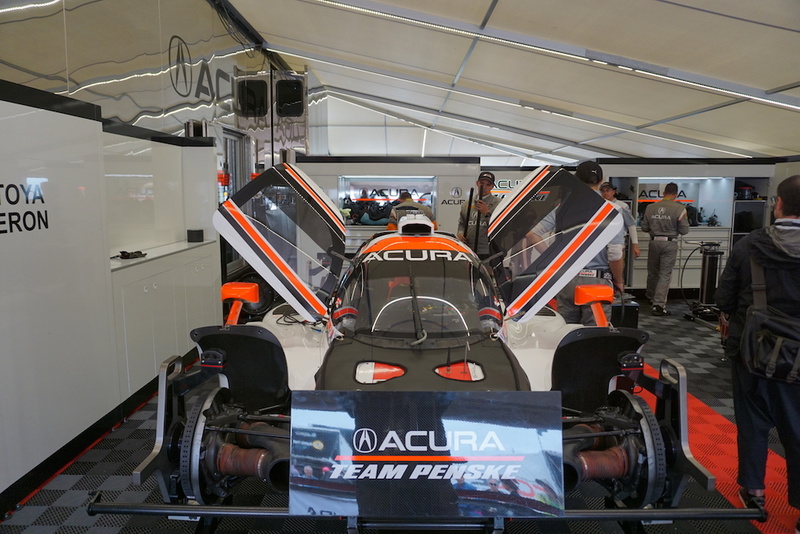 I had the chance to get the answers to these and many other questions while visiting the Acura Motorsports paddock at last weekend's IMSA Sports Car Classic, a supporting event to the IndyCar Chevrolet Detroit Grand Prix at Belle Isle. 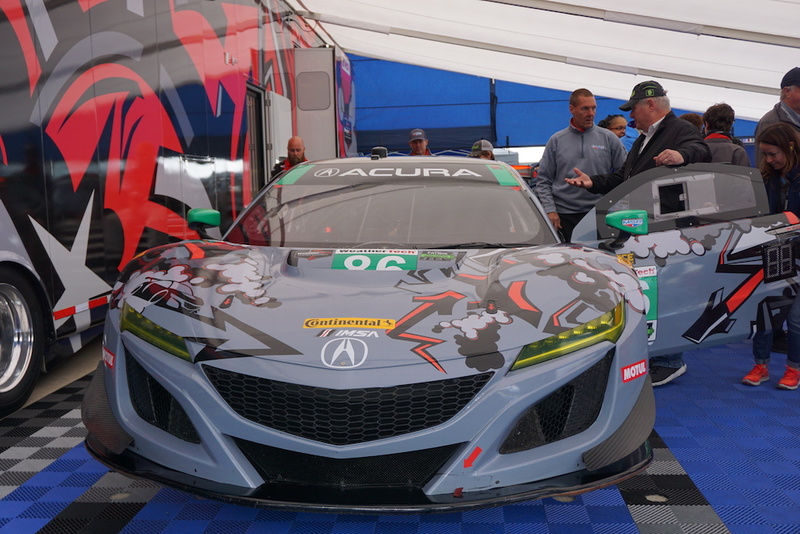 There, I drooled all over (not literally) the sleek Acura ARX-05 from the IMSA Protytpe class, as well as the NSX GT3 of the GT Daytona category. 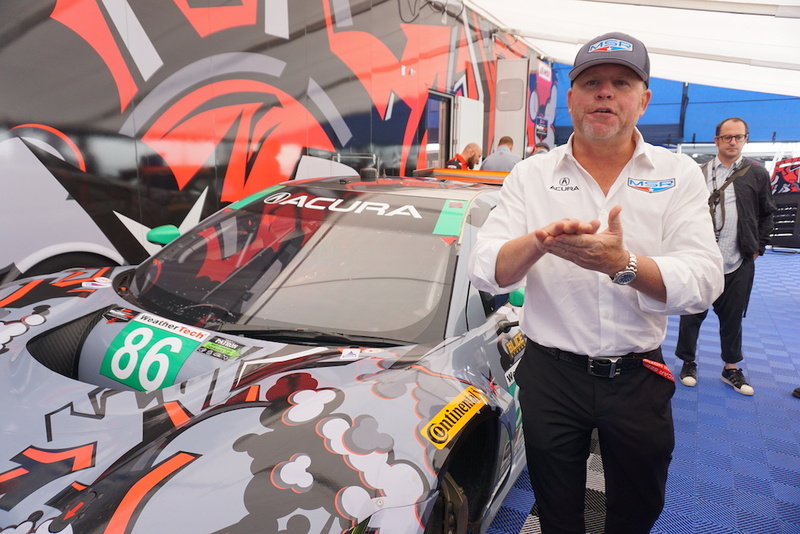 From Meyer Shank Racing team owner Michael Shank to Acura Team Penske driver Helio Castroneves, I got these little-known facts directly from the horses' mouths. 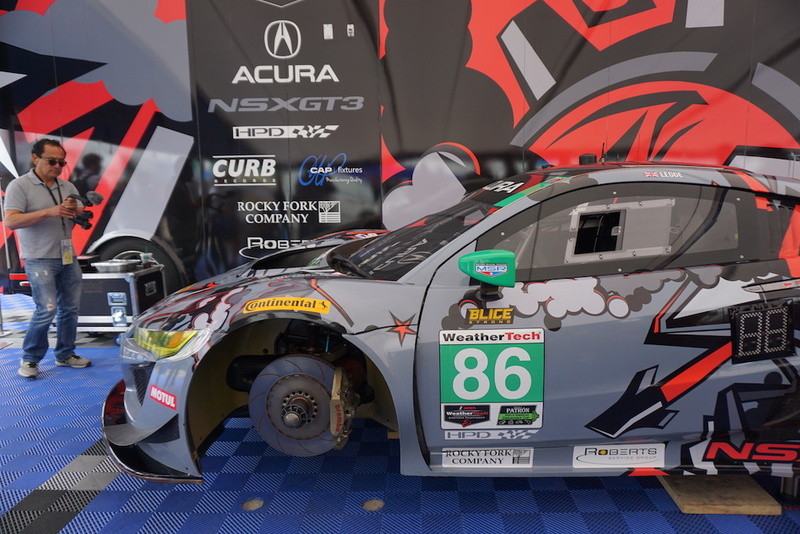 Meyer Shank Racing is an Ohio-based organization led by Michael Shank, a former race car driver turned team owner who's been around for a long time and through many ups and downs of the sport. 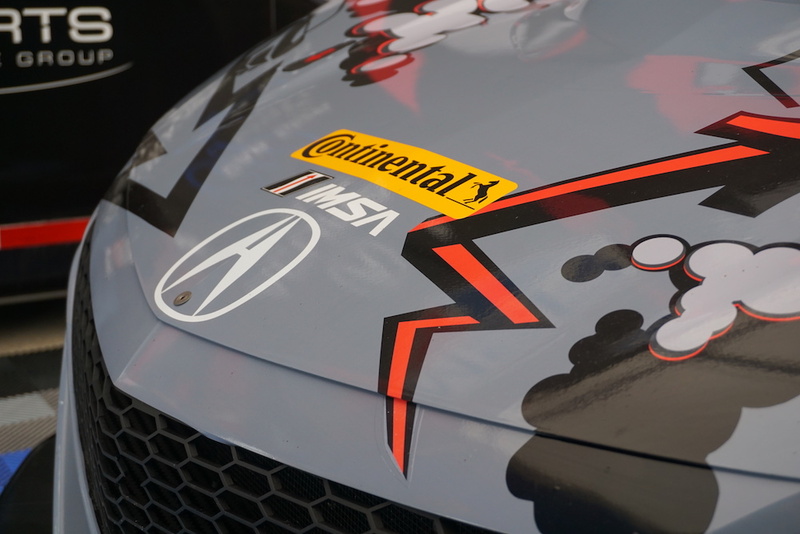 Its current formation features two Acura NXS GT3 racers driven by Katherine Legge, Mario Farnbacher, Justin Marks, and Lawson Aschenbach. 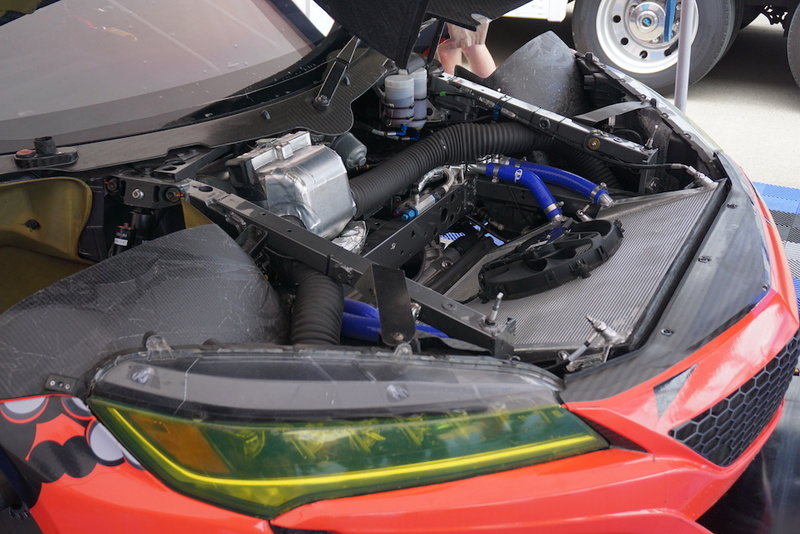 According to Shank, the track-only variant retains more than half of the components of the "normal" street-going NSX, including the 3.5-liter twin-turbo V-6 engine, which is simply tweaked for racing duty. "We love the NSXs; the frame, the engine, and 60 percent of the car is derived directly from its cousin built at the plant in Marysville, Ohio," said Shank. "The most important thing is the motor, which is still built in Ohio and then it goes directly into our program—no modifications. They don't actually tell me the horsepower rating, but our estimates say about 530 to 540, or something like that." 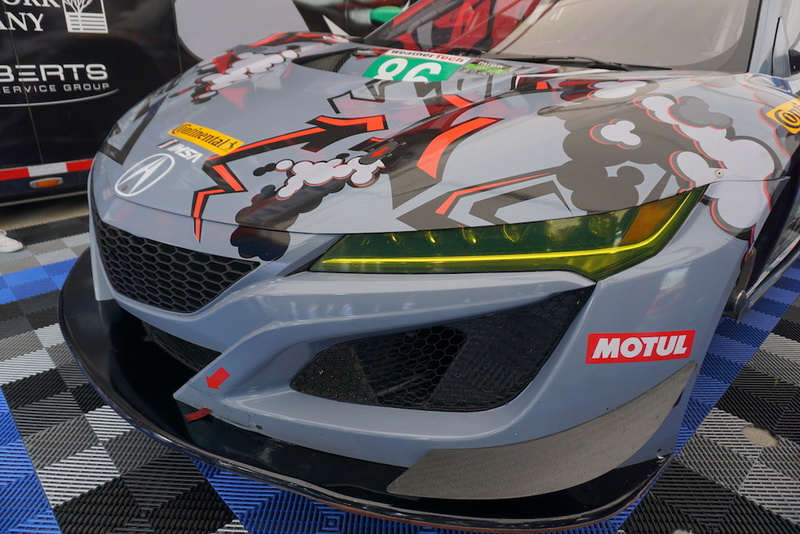 With that kind of horsepower, a six-speed sequential racing gearbox, and a 2,800-pound curb weight, the NSX GT3 can dance around corners with ease and reach speeds of nearly 200 miles per hour depending on the wing configuration. Another impressive figure is the number of "gadgets" that are found on its carbon fiber steering wheel, with ten push-buttons for functions like comms radio and drink bottle, five "clickers" for throttle, ABS and Traction Control mappings, and three levers for shifting gears and engaging the clutch. Oh, and this doesn't include the center stack switches, which operate things like lights and other auxiliary systems. 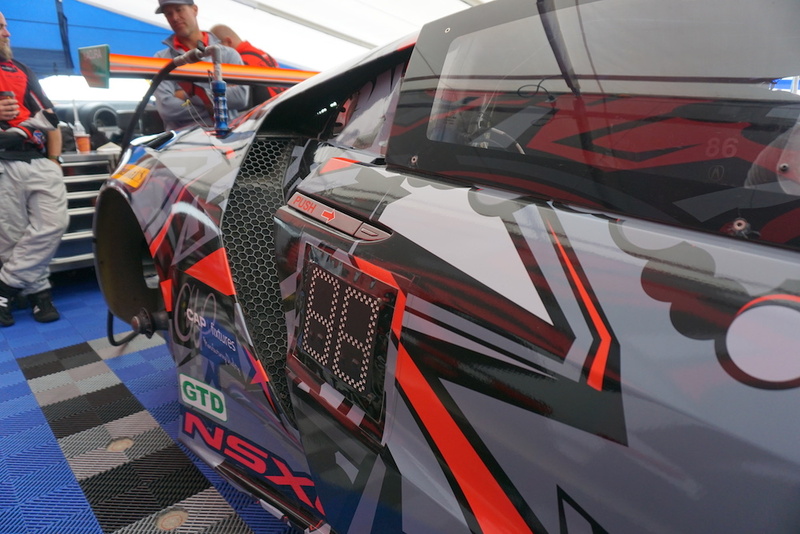 "Compared to the road car, this NSX is much lighter due to its carbon fiber body instead of aluminum," said Shank. "Still, the car gets four miles to the gallon and it has an 18-gallon fuel tank." "As it sits, this car costs about $650,000 bucks." 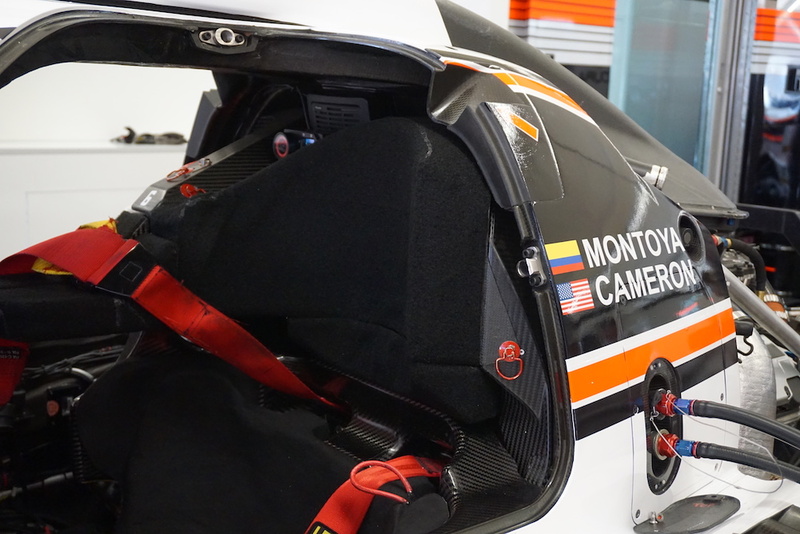 Ricky Taylor and Helio Castroneves' office. 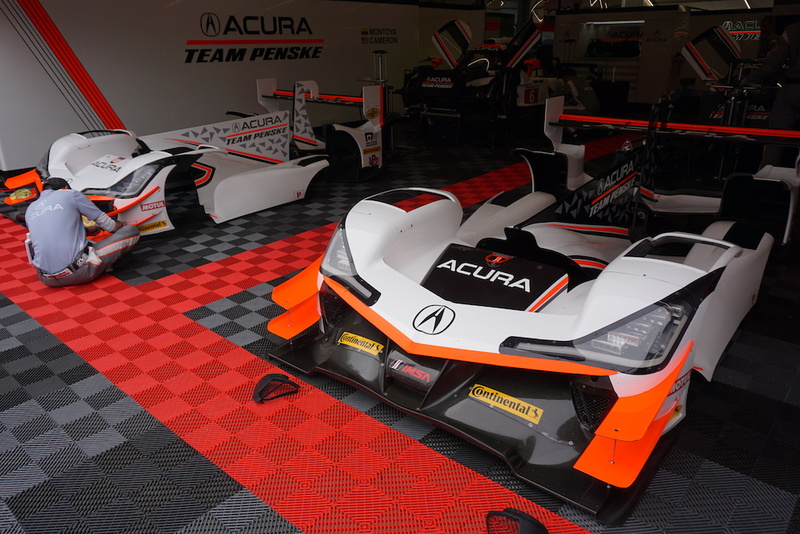 The Acura ARX-05 may have been unveiled less than a year ago, but Acura's, and obviously Honda's, prototype and GT racing pedigree is as fine as it gets. 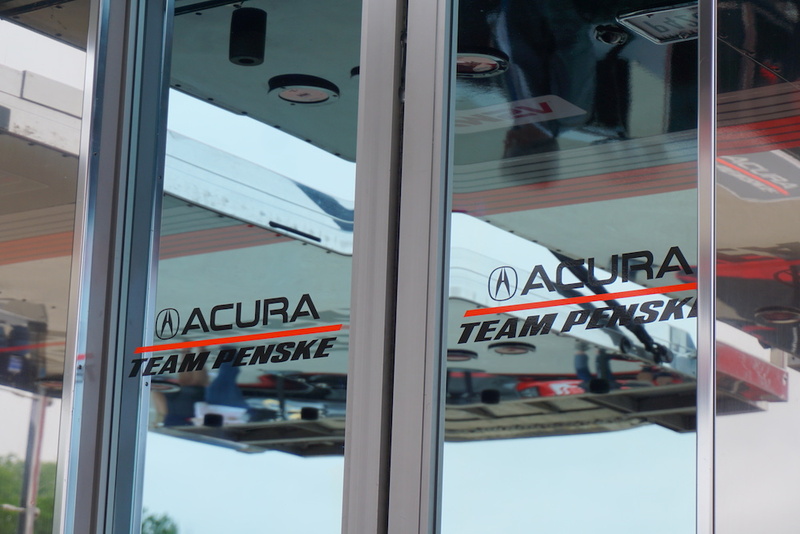 This latest venture involves one of the most important names in the world of racing, Team Penske, whose Roger Penske has been involved in everything from Formula 1 to NASCAR and is the winningest team owner in IndyCar. 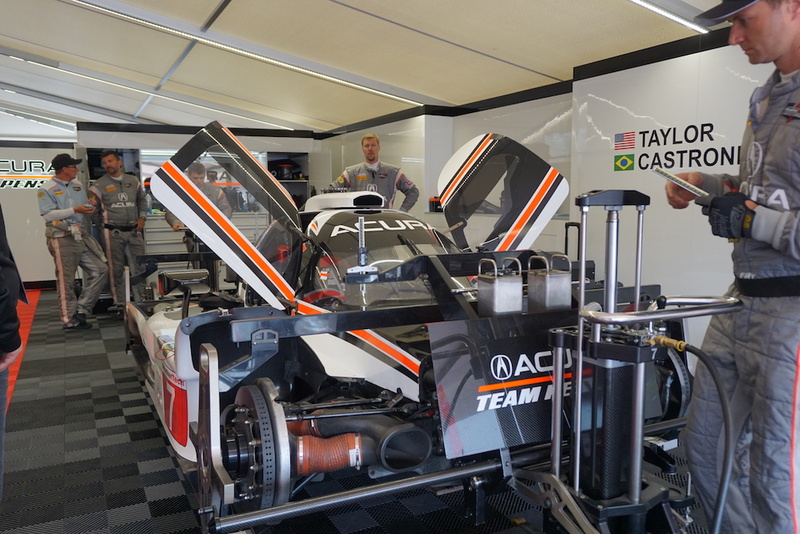 I took advantage of Acura's kindness and poked around both ARX-05s as their crews prepped them for its drivers: Helio Castroneves, Ricky Taylor, Juan Pablo Montoya, and Dane Cameron. Both machines had their elaborate and ultra-aerodynamic front ends removed and both sets of doors wide open. They looked like two malevolent bats ready to swarm me in a heartbeat. Luckily for me, this meant the engine bays and cockpits were exposed, allowing me to get a cheeky peek at what makes them tick. "Here we are doing a full bolt check, to make sure everything is ready for the race," said David Hovis, Team Penske Media Relations Manager. 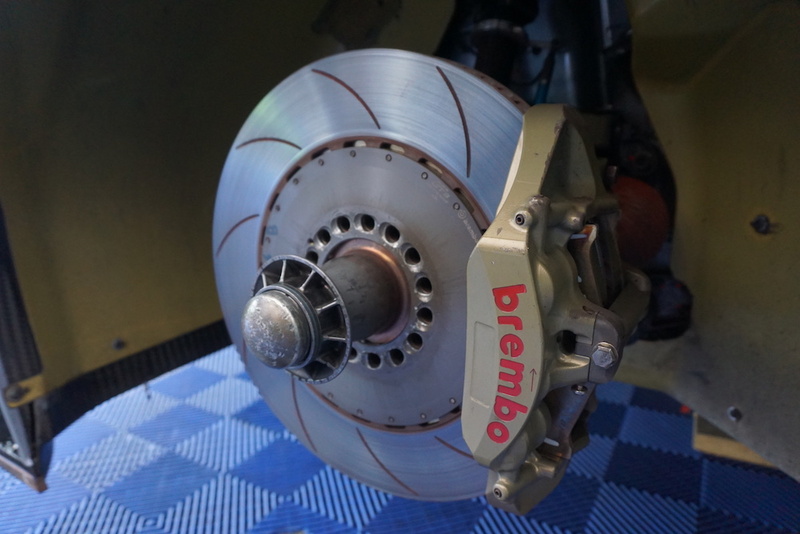 "We check the brakes and carefully inspect everything one, two, and even three times. We go over wing settings and any other issues that the drivers may have addressed over the pit radio during the warm-up." 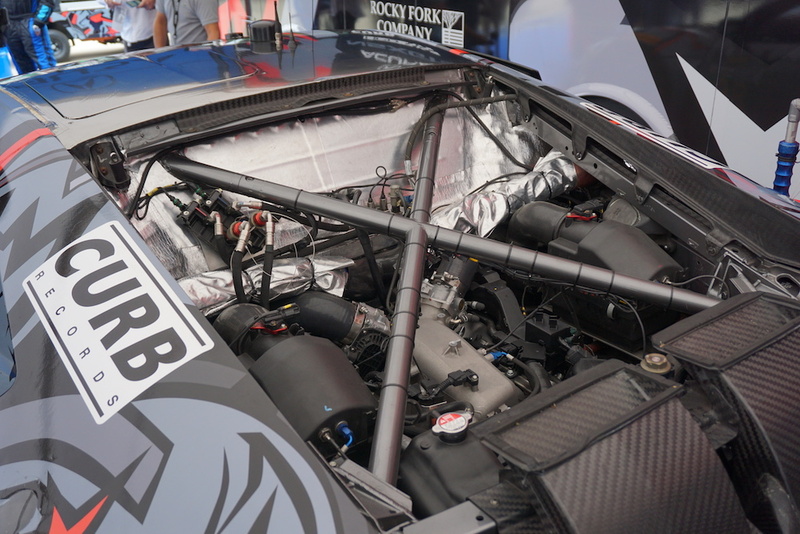 The ARX-05 is propelled by the legendary 3.5-liter AR35TT twin-turbo V-6 engine that produces approximately 600 horsepower and has previously won at Petit LeMans, Sebring, WEC, and many more. A more street-friendly version of it is currently found in the Acura MDX, TLX, and RLX. The 3.5-liter twin-turbo V-6 Acura engine. 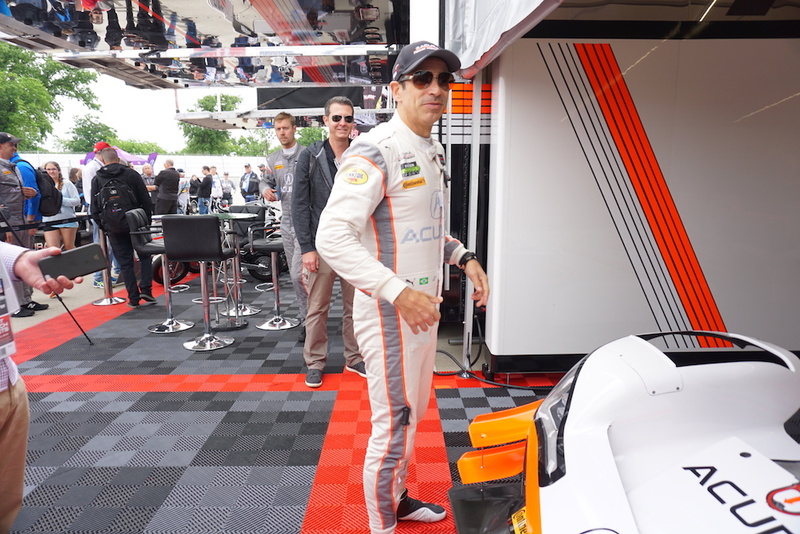 Helio Castroneves strolled in to check on the progress of the cars as I was walking out, but as the three-time Indy 500 winner usually does, he gifted me a few minutes of his time to chat about his weekend. 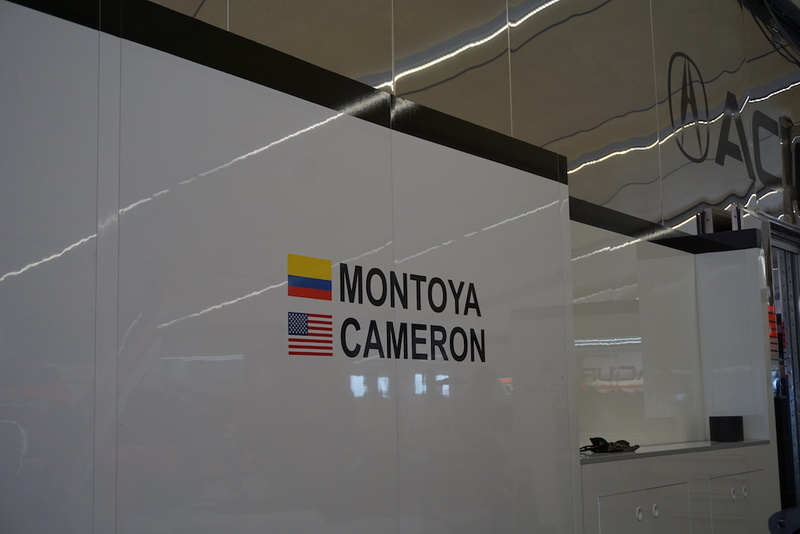 Montoya was a few steps behind him, but as he usually does, he deflected the attention from bystanders and went directly into his trailer. 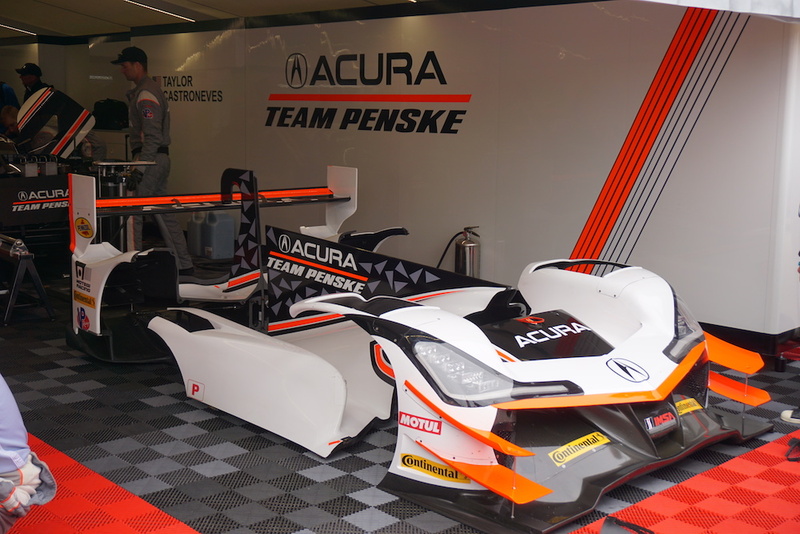 "This Acura is an excellent machine by all means, but the racing is still tough because in our series we have two classes racing at the same time," said Castroneves. "You'll see the Lamborghinis, Audis, Mercedes, and more, and each one is particularly good on a certain section of the track, so it becomes difficult to pass traffic." Helio Castroneves talks about the many challenges of Belle Isle. "Street courses are always challenging, they're not smooth surfaces so the cars get beat up a lot and there's a higher margin for error. It's very challenging, so it'll be interesting." 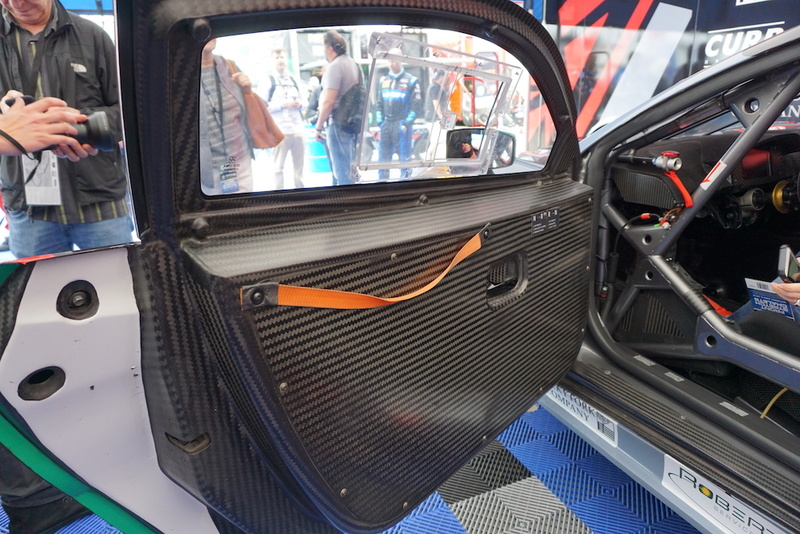 Much like the NSX GT3, this Oreca-branded chassis features an aggressive aero kit for extreme downforce and its cockpit is filled with even more buttons, including a clever radar-based system that alerts drivers when slower cars/traffic may be around them. There isn't an official statement on the price of one of these bad boys, but we can estimate that it's at least one million bucks. As far as going potty during the race, neither Shank or Castroneves commented, but just ask IndyCar superstar James Hinchcliffe.